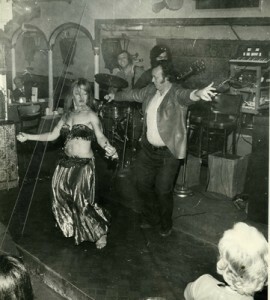 Avram Grobard, iconic Israeli folksinger and former owner of the “El Avram” nightclub in Greenwich Village (1967-82), will be playing an intimate show in South Orange, NJ on May 2. Avram is a good friend to the Idelsohn Society, an amazing performer, and a great man. Those who remember Avram’s performance at our Joe’s Pub gig last winter will know this is a can’t-miss event. Details below. Admission $5. Refreshments will be served. Sponsored by the Israel Action Committee of Oheb Shalom.